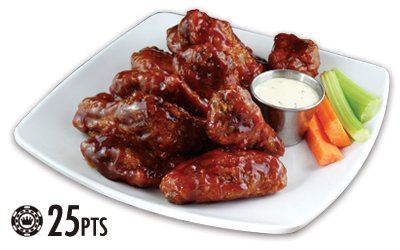 Our wings are worth the weight. We’re not in the wing business. We’re in the flavour business. It’s been our mission to serve the world flavour since we first opened shop in ’05, and we’re just getting started. 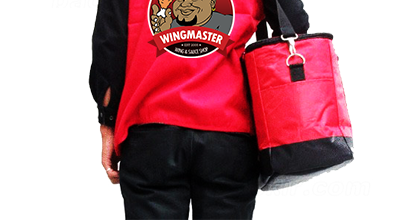 With a gregarious, kind hearted leader behind this fun brand, Tre “Wingmaster” Jones keeps his Brantford Ontario roots thriving with a flavour fanatic fan base! Since its inception in 2005, the Wingmaster has continued to earn praise for its consistent delivery of a truly superior wing and unique dessert menu items. With a wide variety of proprietary sauces developed over the years, they have served to further elevate the already intense Wingmaster experience! Wingmaster is the destination when you crave fresh never faked wings, hand-cut seasoned fries and any of our famous sides. For people who demand flavour in everything they do, there’s only Wingmaster – because it’s more than a meal, it’s a flavour experience. 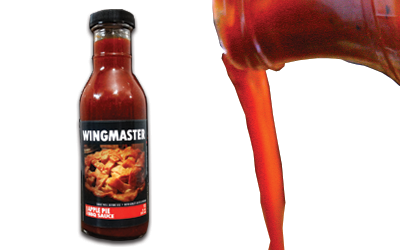 It’s flavour that defines us and has made Wingmaster one of the highest rated brands southern Ontario. We've got over 70 unique and undeniable flavours to choose from, each one bringing something different to the table. Whether you prefer boneless to bone-in, at Wingmaster we have a flavour for every taste - Each one making you crave in ways you've never imagined. No one does wings like us because no one cares like us. We take pride in being the ones who serve the world flavour. To do this well, it takes a team of people, throughout the company, who don’t just show up. They Get. At. It. Every. Day. When you work at a place people love, even obsess about, their enthusiasm is infectious. Our employees feel their passion and become fans themselves, if they weren’t already. If you share the crave or hear the calling, Wingmaster may be the place for you. ...order online and start earning your rewards today! Collect Points and earn discounts on your favourite meals. Online contests and monthly prize draws for everyone enrolled online. Simply create an account and you're in! ✦ Earn 2 Points for every $1.00 you spend. ✦ Collect 25 Points and receive $3 off your first purchase. ✦ Special Offers, Discounts & More. ✦ Invites to menu tastings.